IHR Antonia was saved from slaughter, in May, 2016. 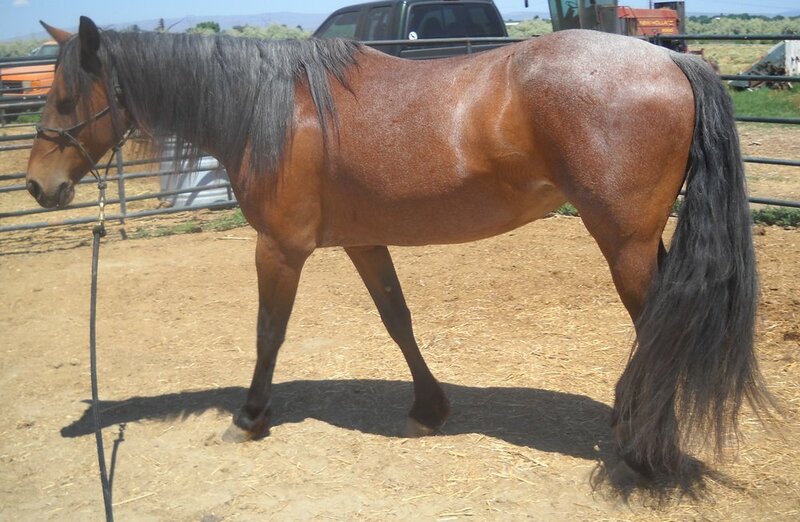 She is said to be a bay roan Azteca, about 14.3 hands and now roughly 8 years old and sound. She was very difficult to handle, at first, as she feared having her head, neck and shoulders touched, and she was not easily approachable. Also, we didn't know it at the time, but she was pregnant. 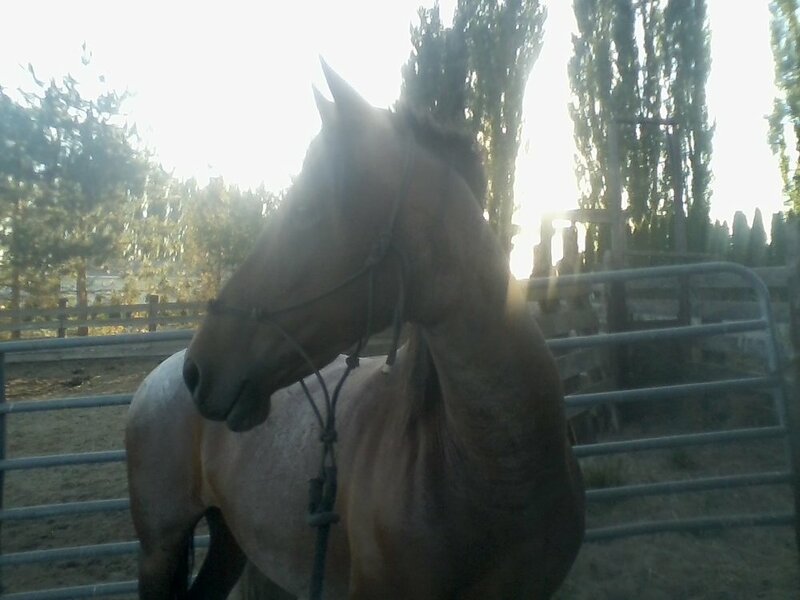 Last April, she had a red roan colt, whom we named IHR Perfect Storm. 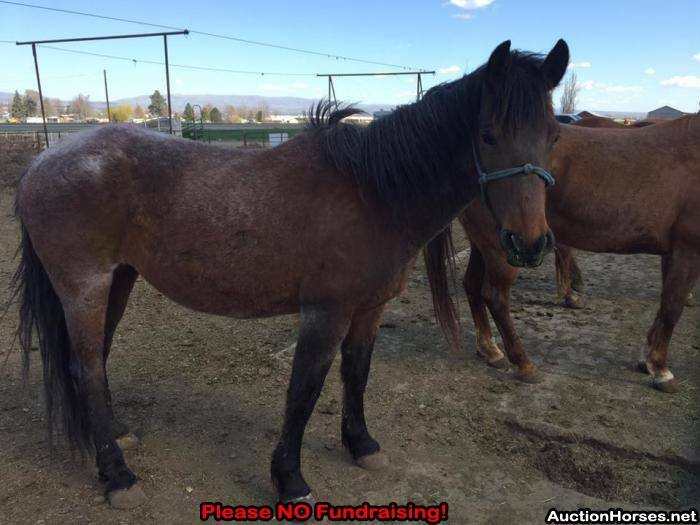 We had no way of knowing if Antonia came to the feed lot pregnant or was covered by a random stallion while she was there. 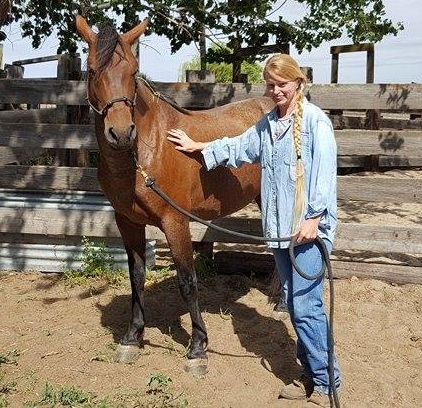 "Stormy" has since been weaned from her, and adopted to a knowledgeable, and very horse-loving family. IHR Antonia would be a great project horse for someone who understands her past issues but also knows how sensible she actually is. 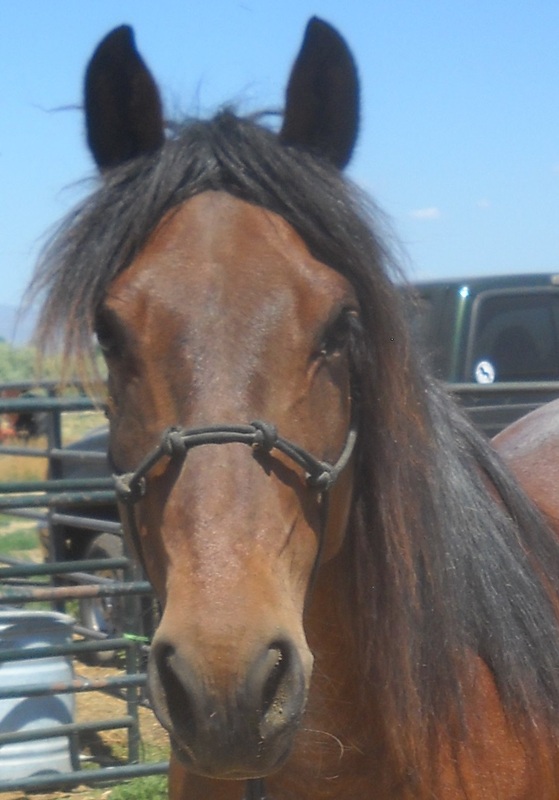 We feel she came from a range-land type home because she is so horse-smart about mud, other horses, and she is rather bold. IHR Antonia is good with having her feet trimmed, has had basic groundwork - she lunges, turns away from you and crosses her front feet, yields her hinds, backs in circles or straight line. and her leading is getting better all the time. She has worn a saddle. 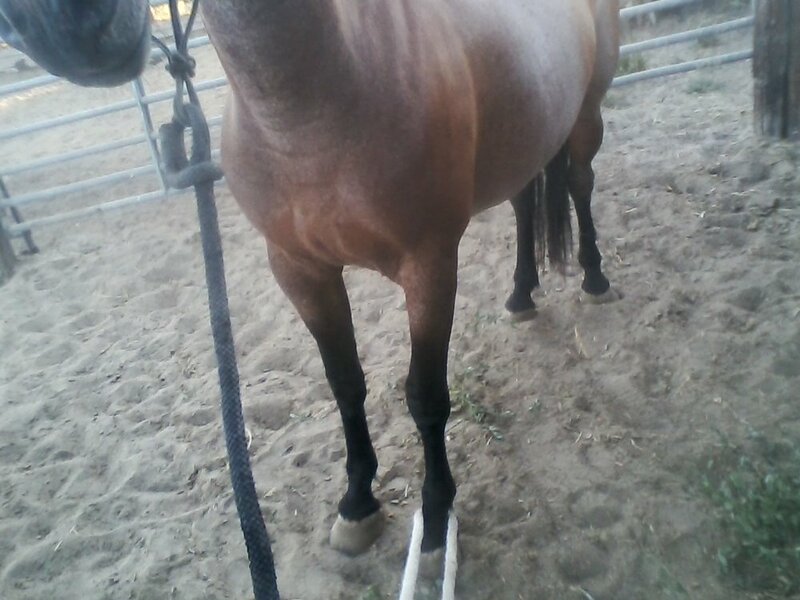 Below is a photographic journey of her training progress, and adaptability. 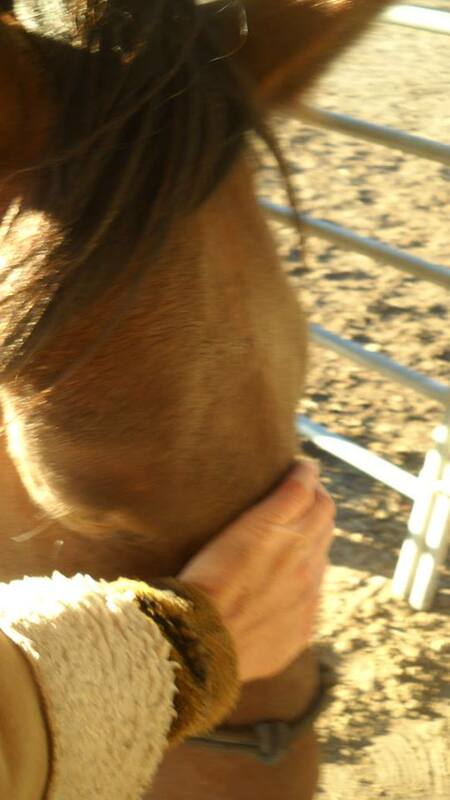 IHR Antonia's needs, including hoof care, are paid for by donations made to our "IHR Pegasus Progject". 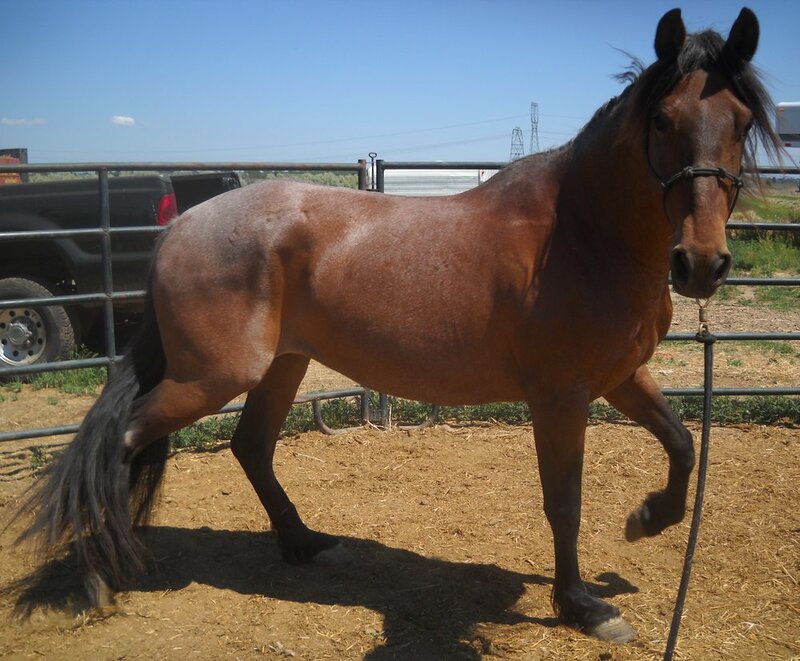 IHR Pegasus Project was created specifically for horses over the age of ten years, with training and rehabilitation needs to be addressed before they become adoptable.